Here we go again! America is running true to form, fixing some other country’s business for ’em just as we always do. We mean well but will wind up in the wrong as usual. When some nation wants us to help ’em out, they use the same old “gag” that we should exert our “Moral Leadership: and, like a yap, we believe it when as a matter of truth, no nations wants any other nation exerting “Moral Leadership” over ’em, even if they had one. I am ashamed to admit that it has been a while since I used one of my hero’s quotes here on RJ’s Corner. Shame on me, Will’s words are what helps keep me centered during today’s version of turmoil. It has been eighty-four years since Will said these words and they are as true today as they were then. No country, or even individual for that matter, wants someone to give them moral leadership. To even insinuate that you want it is to admit that you don’t have enough of your own and for us Americans that is an almost impossible thing to say. We Americans are a pompous and egotistical bunch so we fall for this logic too easily. We like to think that somehow when God passed out morality we got a double, no a triple, dose of it. Can you imagine if for instance Britain came over here to provide us with some “Moral Leadership” in the area of providing universal healthcare to our citizens? Or worse yet to show help us get our murder rate to the extremely low levels of their’s? I will be one to admit that we certainly could use their “Moral Leadership” in these areas but I am absolutely certain that their offer would be quickly and adamantly rejected. What “Moral Leadership” means today is that countries want us to give them some of our weapons to more easily kill their enemies. It means that they want us to pump trillions of bucks into their country to do something they don’t have the will to do on their own. Thanks again Will for keeping me focused…. Yeah Will, nothing has changed much in this area since your day. About the only thing different is that we have MUCH bigger guns now. It goes back to the old quote “If all you have is a hammer everything looks like a nail”. I love this country but I simply can’t begin to understand its obsession with guns….. I have enough “Indian” in my heritage to understand where Will is coming from here. I wonder what this country would be like now if Columbus had not accidentally bumped into it so many years ago? But also as Will said here someone was bound to have found the new world if he hadn’t. I know Europe’s history is full of conquests and overthrow but for the most part the people invaded usually, at least in the end, managed to keep hold of their land. Since native-Americans believed that the land could not be owned but only rented they were naive enough to think that they too could keep hold of it. Instead all of therm were rounded up and put on the least wanted patch of ground now called Oklahoma. Arrived in the Canada capital today. More sentiment here to be annexed by Mexico than by America. They know us too well. If we get any nation to join us it will have to be some stranger. We only have one reason for wanting Canada and a modification of the Volstead Act will eliminate it. Waiting instructions. 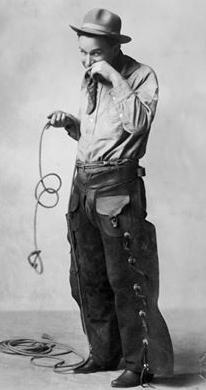 Will Rogers — 11 October 1926. When we took our extended visit to eastern Canada a few years ago I kind of got the same feeling that Will did almost 100 years ago. Canada is happy to have put off the invasion by the U.S. in 1812. They see all our problems with guns, drugs, booze in Will’s day and healthcare issues today and rejoice that they pretty much solved all those things years ago. When we told some there how much we pay for our health insurance, even with Medicare, they were shocked. Now don’t get me wrong, except maybe for the french speaking part 🙂 they treated us Americans with friendly grace and cordiality. Especially those taking our tourist dollars. If I couldn’t be an American even with all our solvable yet unsolved problems, I would want to be a Canadian. Where we are hyper about so much they seem to be calm and that is a nice state to be in.